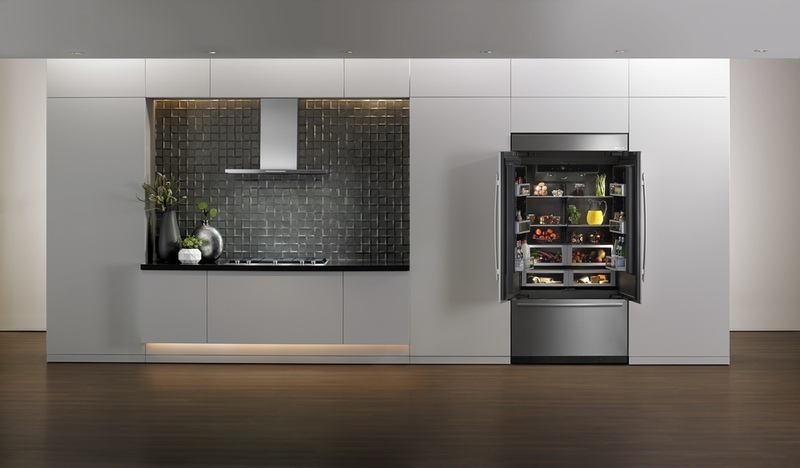 In a bold step away from the traditional, the Michigan-based company, which has been developing technology and design-driven appliances since the early 1960s, recently launched three new refrigerators that feature an exciting black interior. 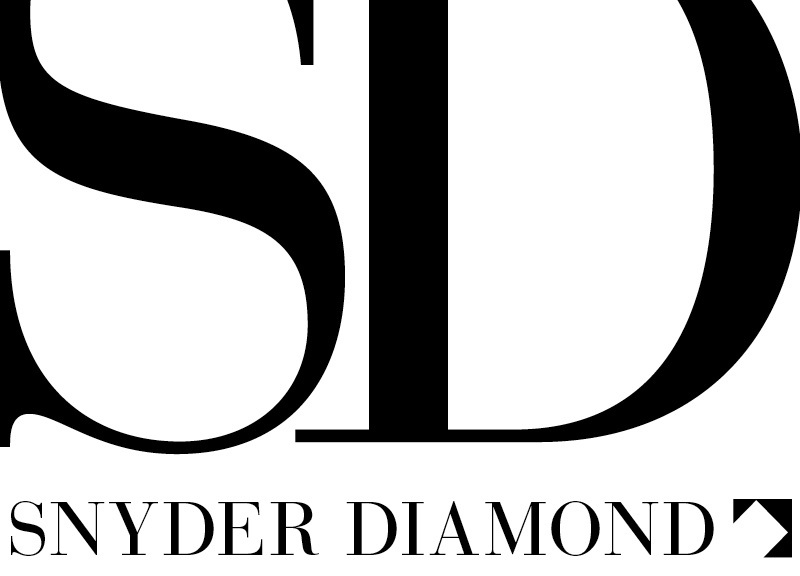 Called Obsidian, the moody line offers a dramatic and sophisticated look. Its deep-charcoal color creates a rich backdrop that makes the contents of your fridge so much easier to see. It puts food items on display in a strikingly effective way, meaning there is much less time spent fussing around in search of what you wish to retrieve. The three models (a 36-inch built-in, 2-door bottom mount fridge/freezer and two fully-integrated French door bottom mount fridge/freezers in 36- and 42-inch models) use an articulated hinge that creates a flush appearance, and they come panel-ready for custom cabinetry options. There are also several styles of door on offer; a new TwinFresh® climate-control system that uses dual evaporators to provide separate environments for high-humidity refrigerator air and dry freezer air; and a more refined and easy-to-use electronic interface. What’s more the multi-point LED lighting inside the refrigerators brings out the metallic glint in the finish, giving the whole interior added sparkle. 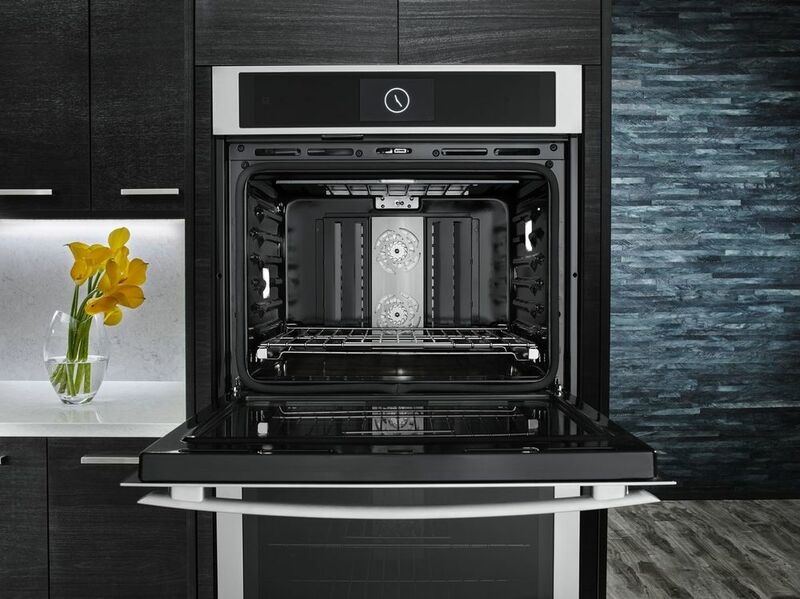 Hot on the heels of Jenn-Air revealing the Obsidian fridge, it announced a sleek dual-convection wall-mounted oven—just coming available this month. It’s the brand’s first appliance to feature wireless connectivity with your IOS or Android devices, which means you can practically whip up dinner while you’re entertaining guests in the living room. Plus, it’s just plain old fun! The app includes special features like the Jenn-Air® Culinary Center, an interactive system that uses a series of precise algorithms and chef-tested cooking programs to provide all the help you need to get exactly the results you want. The Culinary Center—a home cook’s secret arsenal, provides guidance for more than thirty food options and considers such things as food category, food type, desired doneness and type of cookware being used. Color images illustrating doneness levels and there’s even a how-to on when and where to insert a temperature probe. (Who among us doesn’t think twice before doing that?) 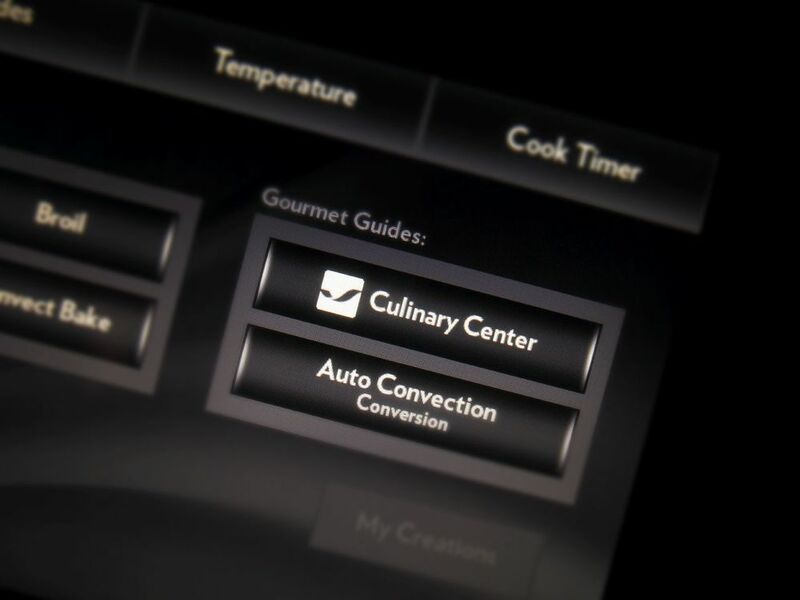 The app also taps Jenn-Air’s “My Creations” function, which allows users to combine up to three cooking modes and to save the settings for their favorite recipes. Smart functions aside, this is simply a highly efficient, uber-savvy cooking machine. It uses two fan-equipped convection elements (some 6,800 watts) to rotate air in opposite directions, and it features six different convection modes. Its convection system enables even baking on all three racks simultaneously and the No Preheat function allows cooking on one rack without any preheating. 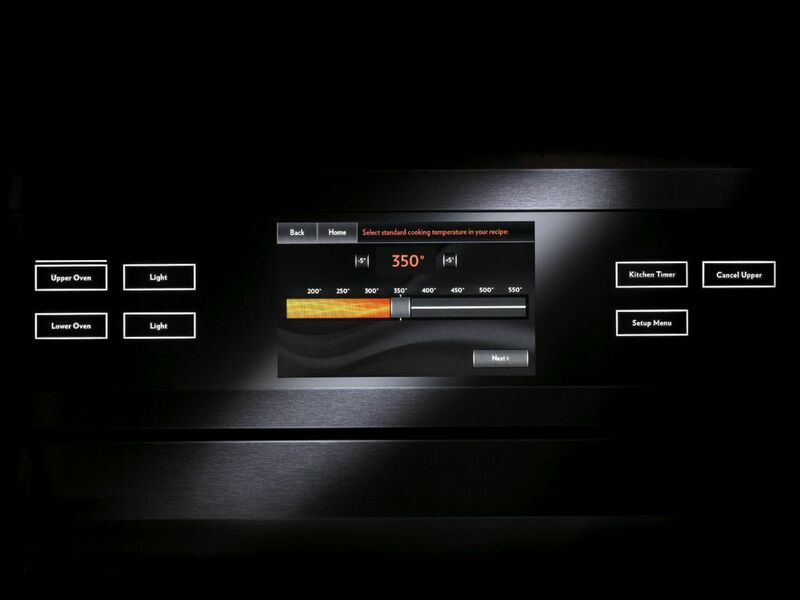 What’s more, the oven also includes a 4,000-watt reflective broiling element. 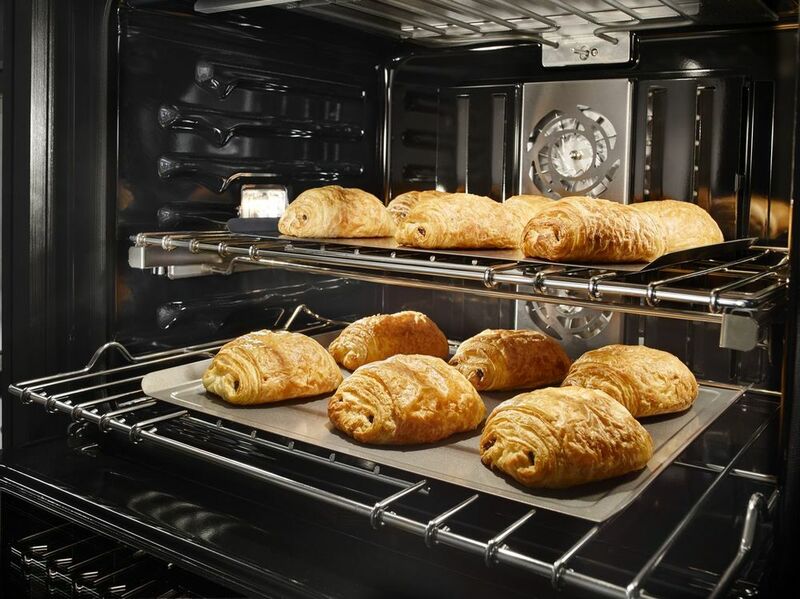 As well, soft-close doors, a front-mounted oven light, easy-glide racks and a larger oven window make it a pleasure to use. As we’re in a Boulud mood today, the culinary master also once said, “There’s no great chef with out a great team.” And in Jenn-Air appliances, you definitely have one.